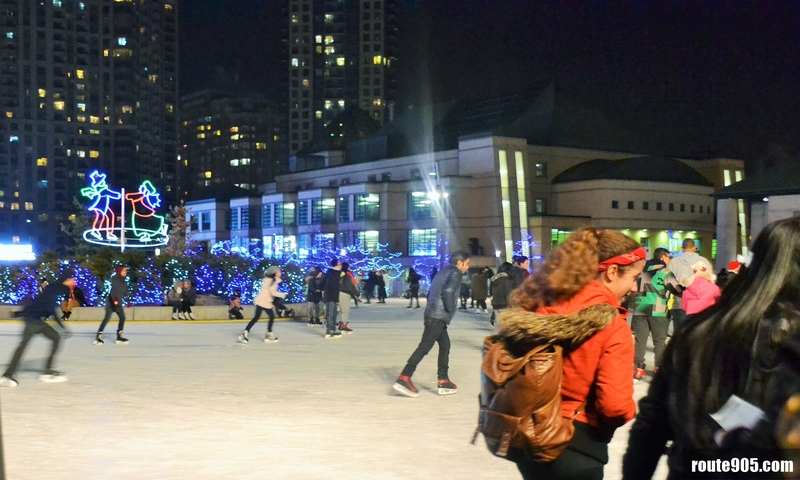 I couldn’t think of a better way to spend your Saturday night than skating outdoors, whether with your family or friends. You would definitely feel the Christmas vibe and that Christmas is just around the corner. The cold air rushing through your face while being serenade by Christmas Jingles, there is no better feeling. Here in Mississauga, we have a place called Celebration Square where people gather for special occasions. 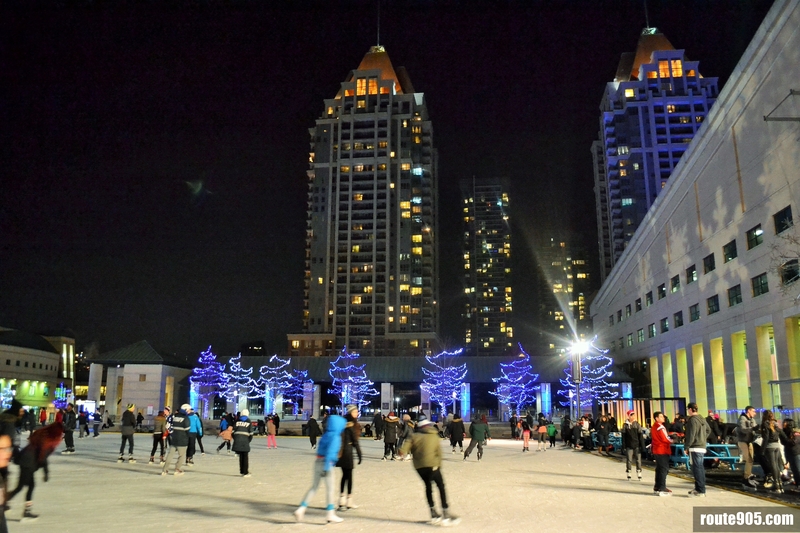 The Square also features a skating rink that operates from 10:00 am to 10:00 pm. In my opinion, the best time to go is at night because it is when the square shines the brightest. The trees around the square are wrapped in vibrant Christmas lights and while City hall lights up in green and blue. If you are a casual skater and you don’t have your own skates, you’re in luck because they also have Skate Rentals for $10, but you would be required to leave your Identification card for assurance purposes, don’t worry you will get it back when you return the shoes. We want everyone to enjoy themselves in a safe and positive environment. Please respect this facility, other skaters and the Skater’s Code of Conduct. 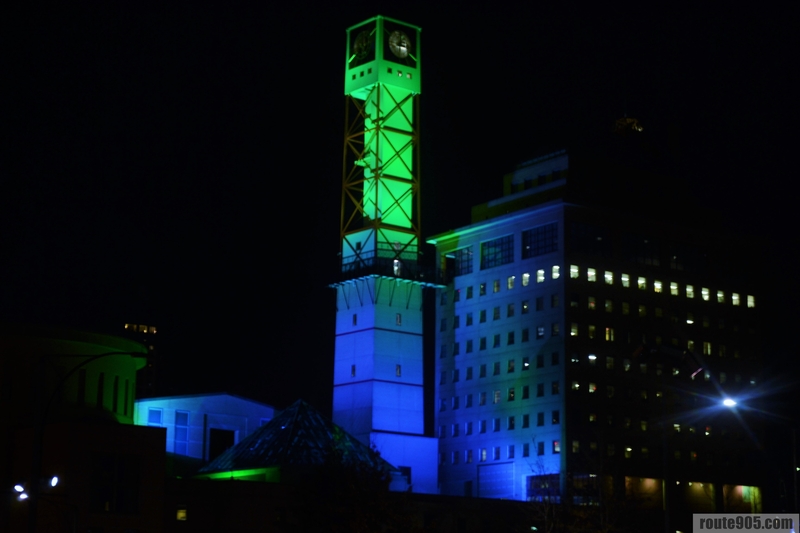 If you are living near Mississauga or simply just passing by our city, you should check it out. it’s really a great place to just hang and feel the vibe. This entry was posted in mississauga and tagged celebration, celebration square, mississauga, rink, skate, skating, square, square one, top 10, where. Bookmark the permalink.